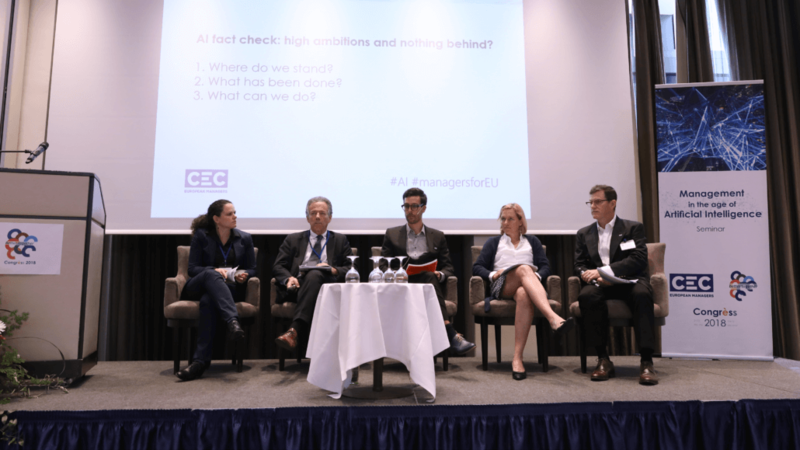 On 25 May, CEC European Managers has held its seminar on “Management in the age of Artificial Intelligence” during its Congress in Mainz. At this occasion, managers took stock of the development of digital technologies and the specific legal and managerial challenges Artificial Intelligence (AI) poses. In many regards, executives, managers and professionals are at the forefront of the ongoing digital revolution. Besides taking decisions on the ‘if’ and ‘how’ of implementing digital technologies in their company, they are also shaping the way how employees are equipped with the necessary skills and how they make use of the technologies. The strategic development of artificial intelligence and related technologies requires a decisive shift in thinking. Neither blind techno-optimism nor dystopian visions will help. Instead, thinking in terms of diversity is needed – encouraging comprehensive learning of both artificial and human neural networks. Incorporating this kind of approach in the design and development of AI allows extending the scope of the possible. However, many decision-makers are yet ill-equipped with the necessary knowledge, know-how and moral capacities to assure a mutually beneficial technological development. CEC’s “connected leadership” approach and stakeholder model seem to be more relevant than ever, when considering the multidimensional social, ecological and ethical challenges that can be tackled with the help of the new digital tools – both in the private and public sector. Ludger Ramme, President of CEC European Managers, opened the seminar by calling upon the scope of action managers have for shaping the digital future. The European Managers Panel results on the same topic, presented thereafter, showed that better work-life balance and lifelong learning is urgently needed to accompany the digital revolution. Furthermore, managers and policy-makers should make sure that a connected leadership approach is promoted in order to stimulate innovation, social dialogue and sustainable economic development. During her keynote speech, Dr. Gerlind Wisskirchen (IBA GEI / CMS Germany) presented an overview on the risks and opportunities of AI in the world of work, in managerial, legal and economic terms. Job polarisation, blurring lines of employment statuses and new business models call upon trade unions and manager associations to find new ways of representation and protecting labour rights. New business models have the potential to transform our societies to the good and the bad. Anticipatory regulation is therefore key to make it fit for social purposes. The panel debate shed light on the kind of action needed at company-level and in social dialogue. The participants agreed that technological development should go hand in hand with social progress, anticipatory legal frameworks, investments in transversal skills and a new kind of leadership. Finally, a presentation was given on how oil technologies can be reconverted with the help of the new technologies to accompany the green transition. 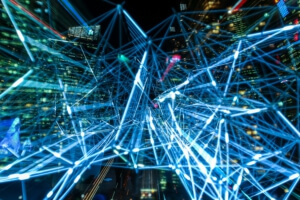 CEC European Managers will continue following the developments of AI and highlight the particular responsibility of managers and computer scientists in its development. With its process for a managerial Code of Conduct on Artificial Intelligence, CEC would like to draw a particular attention on the fundamental ethical questions raised in this regard. If we bring diversity in the process of leadership and technology development together with democratic processes, then we are well equipped for making this digital revolution a success.